So, I’ve been on a bit of a buying binge! We will forget the fact that on the way, I backed into a concrete wall. It’s ok – I was only going a few miles an hour, and besides, I didn’t buy the cardboard-mobile for her pristine looks! The back fender was disjointed, and I was bummed, but decided to take a knee to it, and it popped back in place. Now, she has a matching scar next to what my wife did to her a few years back. I flipped them pretty quickly, which was kind of nice because it helped pay for a bit of the vacation! 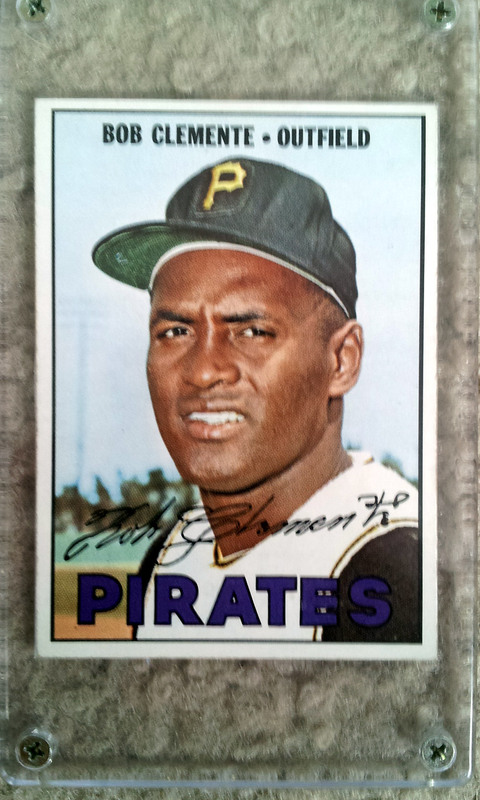 Plus, I don’t know why, but I always have some sort of satisfaction in having owned some of these cards before – I don’t always have to own these items myself to feel fulfilled. If only I can be that way about eating! You know – take a bite of cheesecake, then spit it out instead of swallowing. 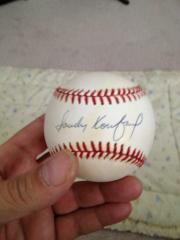 Jordan Brown, a baseball player for the Marlins called me up and talked to me about the USA autographed baseball I had. He said he was interested in trading for it, and mentioned he was talking about it with his hitting coach … Tino Martinez! How cool is that? Martinez resigned today, apparently, due to some internal problems. 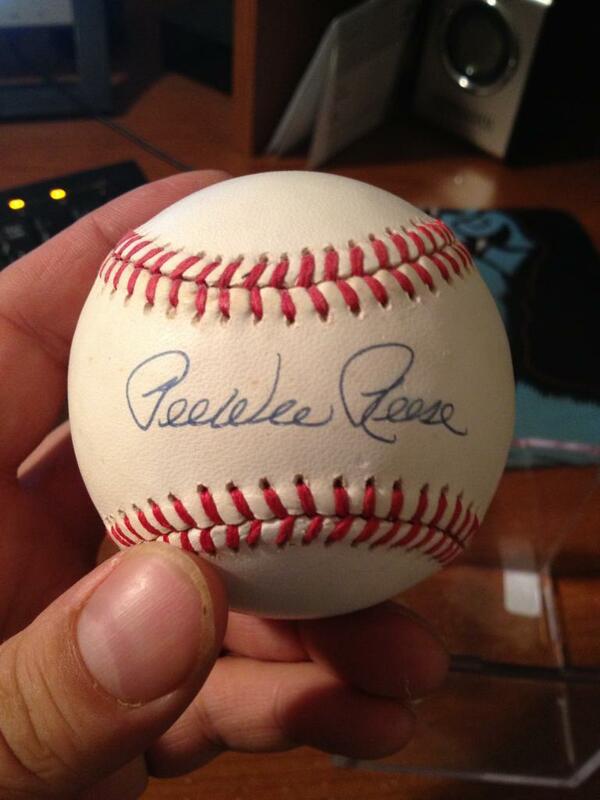 Anyway, I ended up selling it to someone else, but thought it was cool that I got to talk to a ball player for a while about it…who called me … AND who spoke to Tino Martinez about my ball. With my family out of town this weekend, I found myself doing a lot of buying … and talking to my dogs, but that is neither here nor there. I was trying to clean out my office a bit, and remembered a purchase from January’s card show that was overshadowed by meeting Jose Canseco. 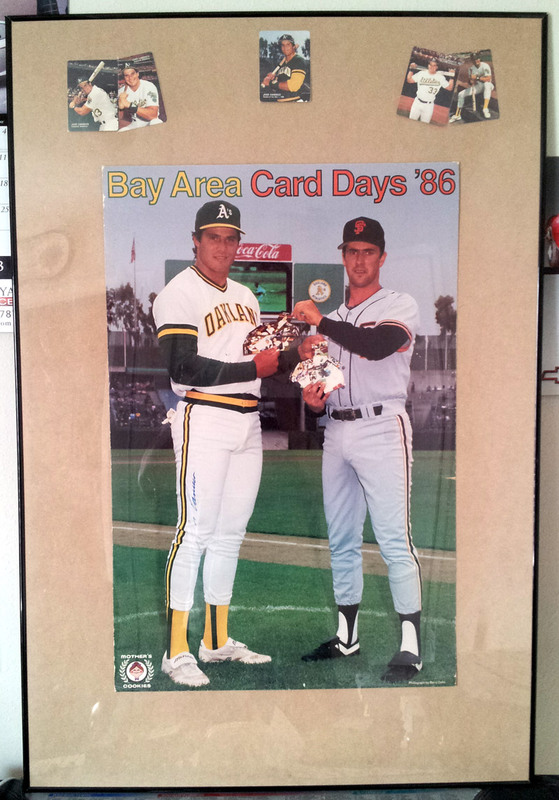 A 1986 Mother’s Cookies promo with Jose Canseco and Will Clark that was signed by Canseco! It has just been sitting behind an always open closet door of mine, so I decided to get creative. A month or so back, I grabbed a framed movie poster of Mandy Moore that was autographed. I took it out, rolled it up, and put the Canseco item in its place. it was much smaller than the poster, so what I did was I ended up pulling a few Mother’s Cookies cards from my collection, and put them in at the top! 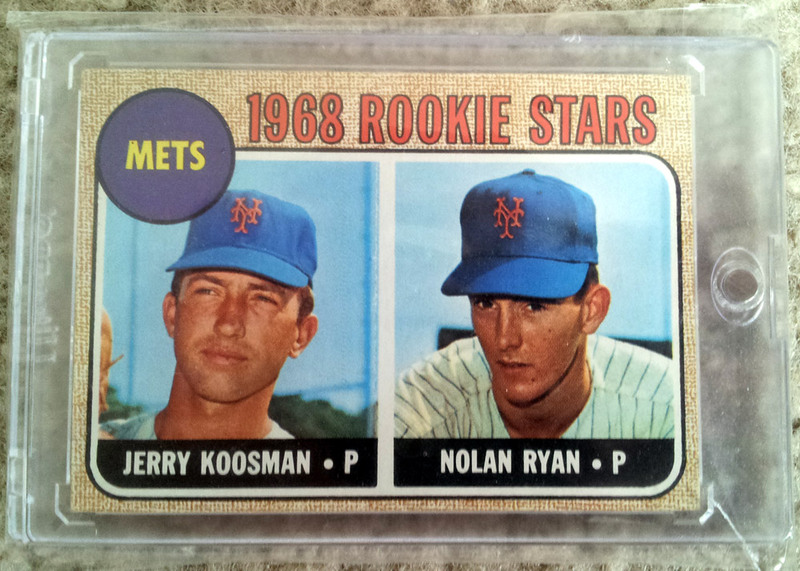 These cards were obtained by me as a child by trading with neighborhood friends, a kid from my little league team and opening Mother’s Cookies boxes with my dad. With all that said, here it is! This may just be Canseco’s biggest rookie card ever! The cards I put in there will serve as a reminder of how fun it was collecting cards as a child. My Canseco collection are the only cards I have left from my childhood. Nothing else is off limits when it comes to selling! So, back to my buying spree. Here are a few other items I bought this weekend! 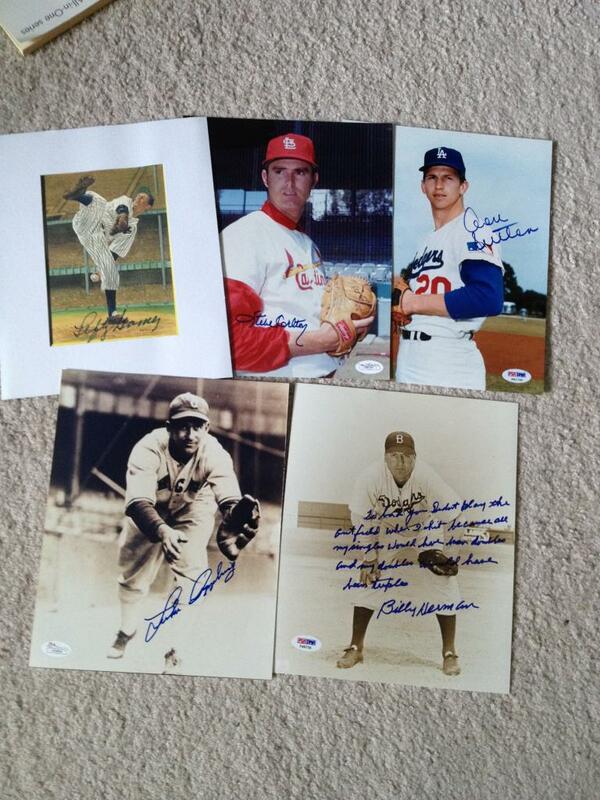 Autographs of HOF’ers Lefty Gomez, Steve Carlton, Don Sutton, Lefty Gomez and Billy Herman. The Herman has an AWESOME inscription. I’ve never seen one like it! 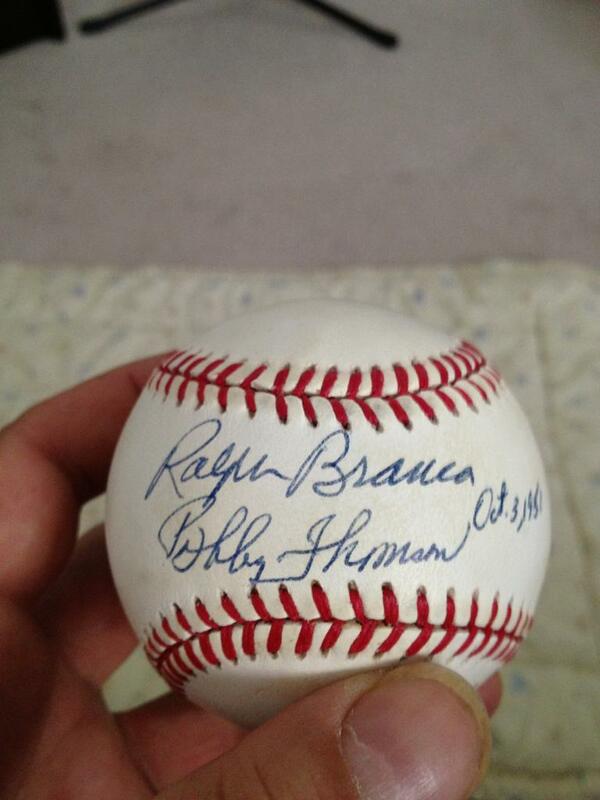 Ralph Branca / Bobby Thomson Autographed Baseball – Thomson hit a homer off Branca in the 1951 Playoffs to give the New York Giants the win against the Brooklyn Dodgers. It was dubbed “The Shot Heard ‘Round the World”. 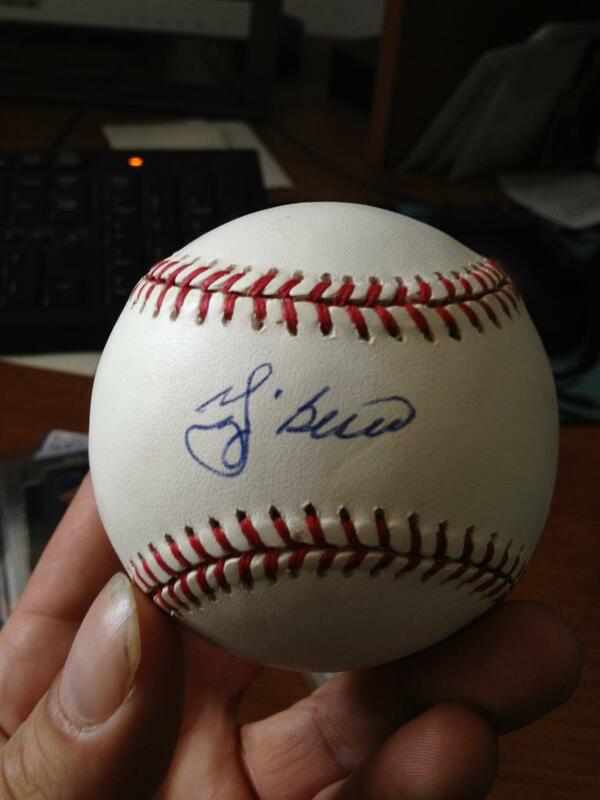 Jim Palmer – An inscription that I think has something to do with his alma mater. 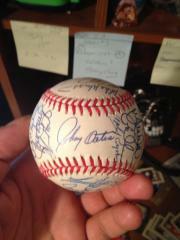 1996 Orioles team signed baseball with Cal Ripken Jr. 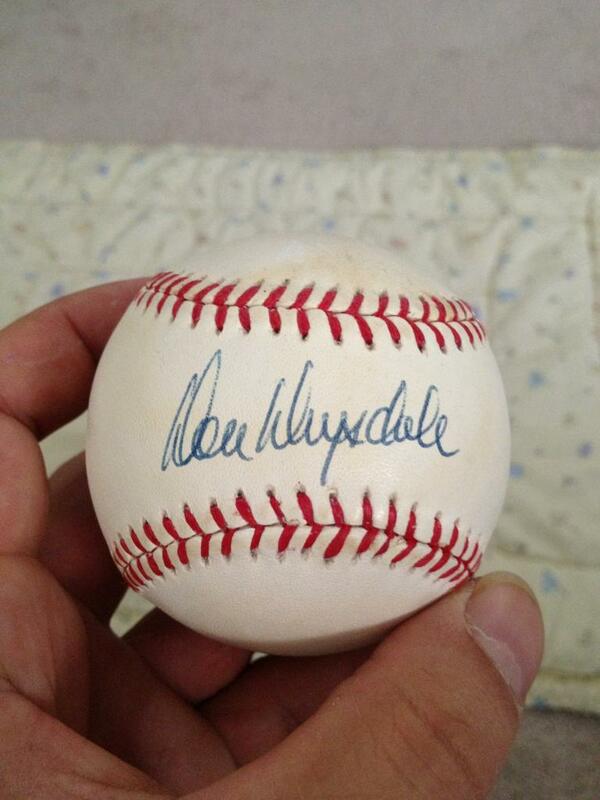 I was most excited about the Drysdale / Koufax autographed baseballs. Truly iconic and dominant pitchers for the Brooklyn / LA Dodgers. I also picked up nearly 10,000 cards which are mostly 2013’s. This is a bit of a gamble here, because I don’t know too much of what is in them. I am still waiting for my autographs and cards to come in. I can’t wait! I may possibly check out someone’s 75,000 card collection this evening or week. 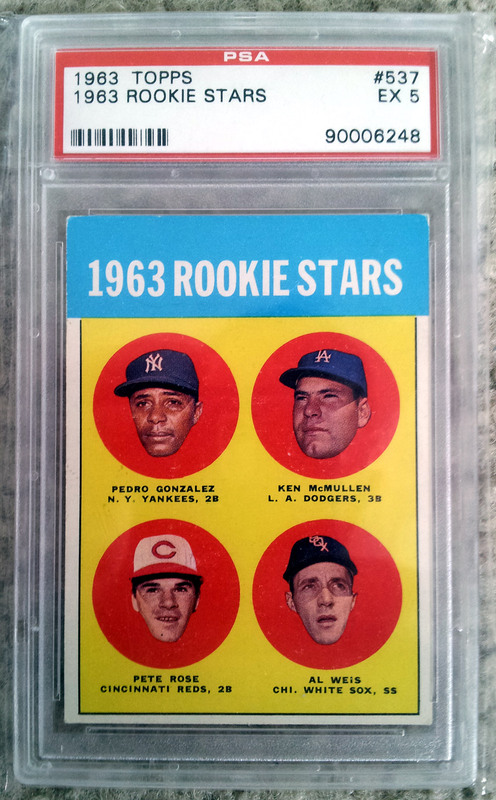 Apparently it is supposed to be all stars, rookies, inserts, etc. So we’ll see what happens.